The guest lecture ‘Science and News: A Marriage of Convenience’ explored the challenges of communicating major scientific breakthroughs, but more often incremental advances, to the public. Dr Palca , who has been NPR’s science correspondent since 1992, is proposing a new approach to communicating science to the public. Joe’s Big Idea is a community of more than 1,000 scientists interested in improving their science communication skills. Why is science and news a marriage of convenience? What are the top ten news stories of this year? Brexit, the crash of the Boeing 737, in the US it’s the Mueller report…the point is, there are tonnes of things that we can rightly call news. My argument is if you can name two science stories in the last year that fall into that category, I would be stunned. The ones I came up with for 2019 are the outbreak of Ebola in the Congo and the recent Event Horizon Telescope first ever 'black hole' image. These are few and far between. What happens when we do science - there’s a tendency to want to try to make it sound as important as Brexit or the Mueller report, and any scientist will tell you that an individual finding is probably not that important. We science journalists play along with the media pace of what we report on even though science doesn’t run at that pace. Do you think science reporting is more important than ever at this particular time? Yes, but it some ways I think it’s less important than ever. The US President has millions of Twitter followers and I have 9,000 . He’s figured out Twitter but I don’t think a lot of science journalists have got to that stage. 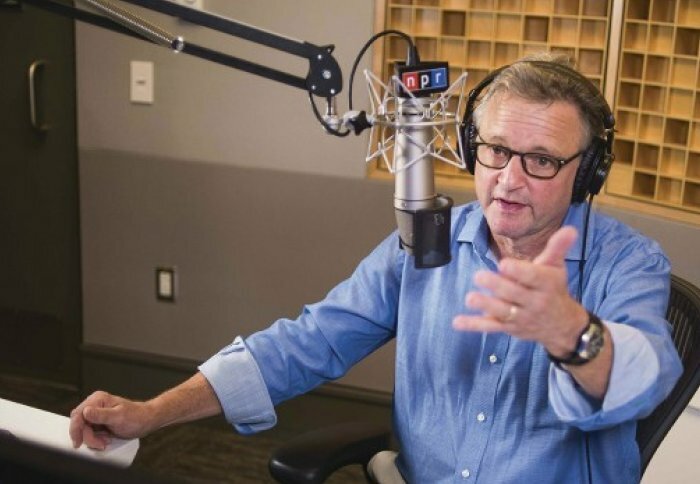 I go on morning edition on NPR and have around a million people listening to me. My feeling is that what’s going to happen is instead of having a few people like me there will be 1,000 websites, all getting their information directly from the College and journals. They will have a much smaller audience than I have but there will be a lot of them. The role of traditional journalism is diminishing but the role of communication is growing. Through digital technology and social media you can reach as many people in the world as I can but the question is how do you reach them? Since you started your career, has public appetite for science in the news changed? I used to work for Nature and write a column for New Scientist and it’s stunning to me that there are multiple science programmes on the BBC and at least one weekly science magazine, and a lot of science on television and radio. That’s never been the case in the US, so it’s never been comparable. People here are much more interested in it. How has the rise of social media as a channel to communicate science news affected things such as accuracy and ‘fake news’? Because there’s equivalence of access, people who know nothing have the same access to the internet as those who are educated. What has to happen in my opinion is that people who are educated and knowledgeable have to get out of their comfort zone and start communicating directly to the public. As passionate as people are about, let’s say vaccines or genetically modified organisms (GMOs), there are people who believe in and follow people who are writing about it who are anti-vaxxers or anti-GMOs, but there aren’t as many people who are passionate about it as there are scientists who are passionate about the importance of accuracy and correctness in science. I’m hoping scientists will get whipped into a frenzy of communicating as an antidote, a counterbalance, to the ill-informed speaker who might be having a larger audience. That’s not to say scientists are always right but I don’t see any other solution. I think the internet and social media have galloped ahead and the only thing people can do is grab on. How do scientists benefit from working with the media? If they think the media play a role in getting out accurate information then there’s a definite positive side to working with the media. I don’t think that any reputable journalist is happy when they get something wrong, they’re not trying to get it wrong. I think there’s definitely an upside to working with journalists, building a relationship, building trust. If they don’t want to work with the media, they better think of their own way of reaching the public. What do you think will be the biggest science stories looking ahead this year? I am absolutely delighted by this growth of multimodal astronomy, where you’re looking not only at radio frequencies but looking at gravitational waves. I think that it’s like being able to hear something you could never hear before or see something you could never see before. It’s an undiscovered realm of the universe that has only been given the slightest tip-tap to. I think that’s going to be very exciting. I’m also very keen on fast radio bursts. I don’t think anyone knows what they are. They may turn out to be mundane but until there’s a good explanation I would like to know what they are. In biology there’s this tool of CRISPR – which has made editing genes a lot easier but it doesn’t tell you which genes to edit. So you have to use it in a thoughtful way. From your experience do you think the US and UK will maintain a strong relationship in science? Yes. I think apart from people who are extremely familiar with funding schemes in British and European science, I don’t think people really think about Brexit’s impact too much on science in America. I haven’t heard it so much amongst scientists except they seem to understand that losing EU money is a bad thing for British science.